June is officially upon us people! School is out, the weather is warm (unless, of course, you live in Argentina or something), and Father’s Day is coming up. I feel like Father’s Day is a holiday that calls for gifts of a practical nature. 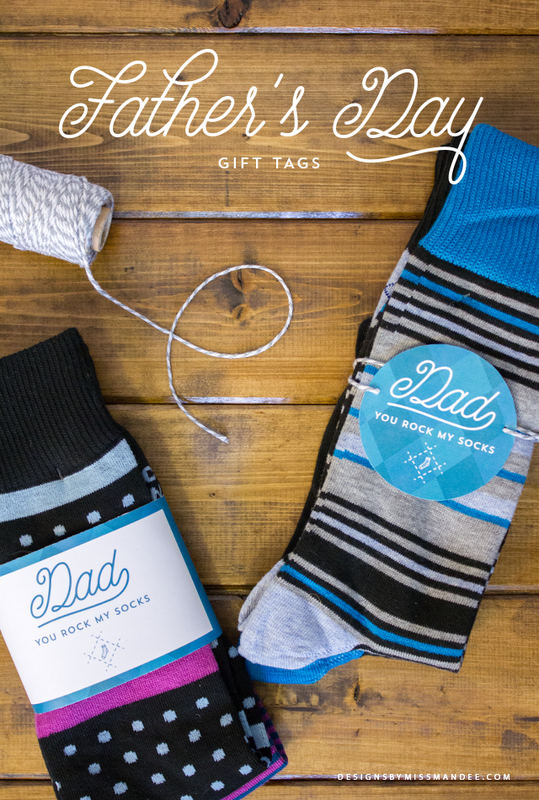 So, today I have a printable to go with what is, arguably, the most practical Father’s Day gift of all—socks! 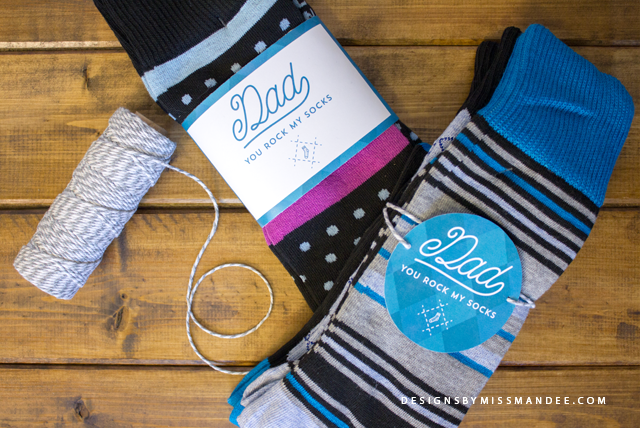 Show dad you think he’s both prodigious and pragmatic with some fun socks and this “You Rock My Socks” printable. I have three dads to buy for now (my dad, my hubby, and my father-in-law), and this is a gift that is one size fits all (see what I did there). Since I’ve been encouraging Isaac to grow a beard and slowly introducing skinny jeans and slim fit shirts into his wardrobe, some fun, patterned socks were the next logical step in transitioning him into a full on hipster. Socks and I have quite a history together. As a child, whenever summer came around, I always wanted to break up with socks. People change—I had changed, I didn’t feel like I needed socks anymore. But, alas, my mother would push us back together. She said that socks didn’t do anything wrong—they were only trying to protect me, and, if I didn’t wear them, my sandals would get stinky. So, for my mother’s sake, we put up a good front and made it seem like we were working things out; but, as soon as I’d get to grandma’s house, I’d ditch socks (and sandals too for that matter), and enjoyed the sweet freedom that comes from being barefoot. Each winter, though, I always came crawling back—I couldn’t help it, I suppose I just wanted something comfortable, and socks were just that.